Theme park or amusement park? Have you ever wondered whether there is any difference between the two terms? Some might argue it's one of those you-say-tomato-and-I-say-tomahto things. However, park fans (a group of which we are proud members) beg to differ. There are differences, but they can be subtle, and there is often plenty of overlap. Before we call the whole thing off, let's parse the terms and shed some light. You might want to fasten your seat belts and lower your lap bars; we could be in for a bumpy ride. What's the Story with Theme Parks? "To all who come to this happy place, welcome. Disneyland is your land." When he uttered those words in 1955 at the grand opening of Disneyland, Walt Disney ushered in a new era of entertainment. Most would agree that the California park is the original theme park and serves as a template for all the theme parks that have followed. The basic formula that Disney pioneered was to take the common rides found at amusement parks—roller coasters, flat rides, carousels, dark rides, and the like—and use them to tell stories. That is the essence of a theme park. By incorporating whimsical architecture, color, landscaping, characters, and other elements, park visitors become part of stories rather than passive passengers on mechanical rides. Further, Disney divided his park into themed lands, and created the attractions within those lands to tell a larger story. Instead of experiencing one overriding theme, Disneyland guests can travel to Frontierland, Tomorrowland, Fantasyland, and other fantastic places. By using the storytelling techniques his filmmakers mastered, including music, lighting, composition, and framing, and adapting them to three dimensional spaces, Disney was able to immerse (a term that park designers frequently embrace) his guests in all-encompassing adventures. Sometimes, as with Peter Pan's Flight or The Amazing Adventures of Spider-Man, theme park attractions tell linear stories and use established characters. Other times, as with Toy Story Mania!, the narratives are less defined, but the attractions still stick with specific themes and use storytelling techniques—and, more often than not, dazzling technology—to engage and delight visitors. Examples of theme parks include: all of the Disney and Universal "destination" parks (which are open year-round, generally offer on-property overnight accommodations and other resort amenities, and attract vacationers from afar as well as those within driving distance), the SeaWorld parks, Busch Gardens Williamsburg, Sesame Place, Busch Gardens Tampa, Legoland California, and Legoland Florida, among many others. On the other hand, amusement parks generally skip any storytelling pretense and sometimes don't have any defined lands. They usually feature a random collection of roller coasters and other rides. Taking their cue from Chicago's 1893 world's fair, the World's Columbian Exposition, and its "Midway Plaisance" as well as New York's Coney Island and its boardwalk, amusement parks typically present their rides along one or more midways. Instead of trying to immerse visitors in unified, themed experiences, the boardwalks usually offer rides, games, food concessions, and stores that have nothing in common. Loud noises, including the screams of riders, help create high-energy environments. Thrills for thrills' sake and not to tell any larger story are a big part of amusement parks. Even the "kiddie" rides, which go easy on the thrills, entertain their young passengers primarily with spinning and other action-filled experiences. Examples of amusement parks include: Cedar Point, Lake Compounce, Knoebels, Family Kingdom, Dorney Park, and Wild Waves, to name a few. Major exceptions include Six Flags Fiesta Texas, which has a heavy emphasis on music, and The Great Escape, which retains many remnants of its origins as a cute, fairy tale-themed park for young children. Then again, most of the other Six Flags parks may not have particularly well-themed lands, but their DC Comics areas can be impressive and their Looney Tunes characters can be charming. Some parks can surprise with individual attractions such as the highly themed Monster Mansion at Six Flags Over Georgia. Starting in 2015, Six Flags began opening sophisticated, Disney-like Justice League: Battle for Metropolis rides. And in 2016, the park chain began introducing storytelling to its thrill rides with virtual reality coasters. So, it's a mixed bag. In general, however, I'd place Six Flags in the amusement park category. It gets murky elsewhere as well. Ohio's Cedar Point probably wouldn't object to our classification of it as an amusement park, as we do above. However, along with many of its sister Cedar Fair parks, it does have a themed land filled with animated dinosaurs and a Snoopy-themed area that includes walk-around characters. There were even hints of the theme parks to come in the World's Columbian Exposition, the predecessor to modern amusement parks. It included a grand White City with ornate neoclassical buildings and lovely grounds designed by noted landscape architect Frederick Law Olmsted. Coney Island, arguably the prototypical amusement park, included theme park flourishes such as the Scenic Railway, an early roller coaster that included themed dioramas past which passengers rode, and an elaborate nighttime show that included simulated burning buildings and other effects. 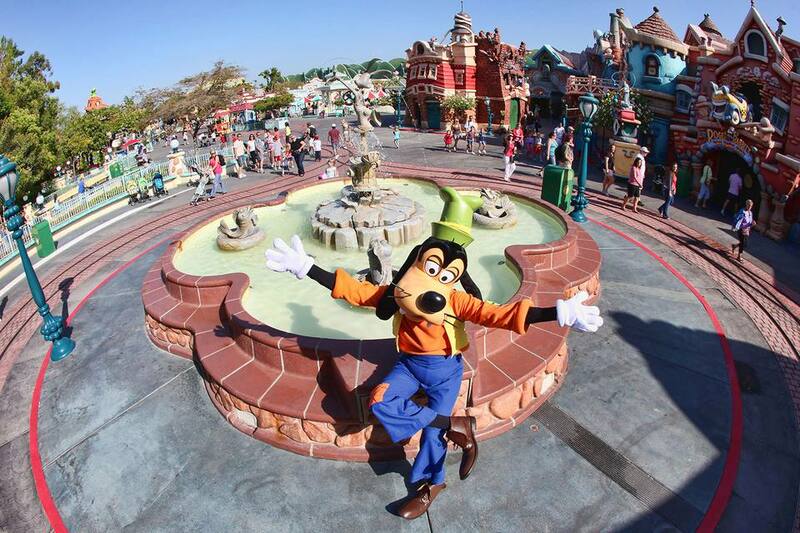 Although Disneyland is generally acknowledged as the model for modern day theme parks, there are parks that preceded it that could also be called theme parks—or at least theme park-like. For example, there were parks with holiday themes, such as the circa-1952 (three years before Disney opened his park) Santa's Village in New Hampshire. It is still delighting families today with its compelling Christmas theme. Water parks figure into the debate as well. Could they be considered theme parks? Often, water parks will feature a single theme, such as pirates, hurricanes, or the Caribbean. Their themes might influence the landscaping, background music, names of slides, and other elements. But the rides themselves typically don't attempt to tell any stories. That is changing, however, as some water parks add dark ride features to their attractions. For example, Schlitterbahn in New Braunfels, Texas offers Dragon's Revenge. The uphill water coaster takes riders into a dragon's lair and past a fire-breathing dragon projected onto a water screen. Universal's creative team, which has pioneered rides such as Harry Potter and the Escape From Gringotts, is using sophisticated storytelling techniques at Universal Orlando's water park, Volcano Bay. There are no federal guidelines or industry standards to determine what distinguishes an amusement park from a theme park. And there are plenty of parks that straddle the line. In general, however, if its attractions attempt to tell stories and are part of larger, unified themes, it's a theme park. If it is mostly a mishmash of rides and its primary goal is to deliver thrills, it's probably an amusement park.